Sus icónicas imágenes del retrato de Buddha como una figura serena en trance sublime. Sus dichos son profundos y reveladores. Buddha fue un profeta. Un visionario. Vio la Existencia y comprendió cómo funcionaba. He dedicado mi vida a aprender qué vio en su mente. Go to Contact Page and send an email request for e-copy of magazines. The nature of your existence is shaped by inherited genetic traits, but there may be more to it. 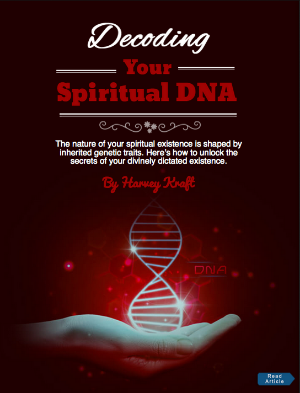 Could there be such a thing as Spirtual DNA that will unlock the secrets underlying who we really are? CLICK on Title text or Image above to View ONLINE. Published in the Journal of Philosophy and Social-Political Sciences of the Azerbaijan Institute for Philosophy and Law. "Enlightenment & Existence" – How advanced was the Buddha's view of Existence? Shocking revelation of a 2,500-year-old Theory of Everything | Visionary science | Connecting you and the Universe! "Without being divisive or declaratory, The Buddha from Babylon seems to want us to connect with the Buddha who truly knew humanity, and therefore truly knew compassion...an alternate chapter in the much-studied and worshiped life of the great spiritual sage.......respectfully probing at revered writings......will provoke spirited debate...blends historical fact and rich prose like the spinning of empyrean silk...offers an engrossing review of the Buddha’s life and wisdom."